Cameron Merage is the CEO and Founder of First Team Real Estate in Southern California. For nearly 40 years, we have consistently focused on improving the homeownership experience and building a supportive team of agents. Today we outsell every franchise in Orange County, our major market, by 3-to-1 by focusing on delivering on our brand promises. While there are many solid national brands, any brand is only as good as a local operator. Our approach gives us complete control and the ability to focus exclusively on building our offerings. From my earliest days in real estate, I saw the need for team work between agents conceptually and practically and how powerfully great teams could serve buyers and sellers. There is always room for improvement and innovation and since we control our own offerings completely we can develop them as our agents, and as our buyers and sellers need. In almost every walk of life, innovation, invention and breakthroughs are created by great teams working toward a shared vision. In almost every walk of life, innovation, invention and breakthroughs are created by great teams working toward a shared vision. Agents need the support of a great team just like every other professional field and when they have that, they can achieve every one of their career goals. Our success in helping literally thousands of agents become successful, and serving thousands of buyers and sellers annually keep us focused, driven and innovating. Since our founding we have grown into the most trusted and successful brand in Orange County and one of the only brands to be ranked in the top of every county of Southern California. A key indicator of the trust in our brand and our level of service are the routine reports of agents completing transactions with the same buyers and sellers over and over. This December will mark the beginning of our 40th anniversary year. We are celebrating by encouraging our nearly 1,700 agents to participate with us across Southern California in dozens of projects that build our community. In Irvine, we sponsored the summer enrichment academy which helped thousands of kids from across Orange County learn about science, technology, engineering, art and math in hands on, fun ways over a two-month period. Logistical, marketing and agent recruitment are always three of the key barriers any brokerage needs to get through to be a success. We started with 12 agents and immediately focused on training and peer support, which were highly unusual in real estate at the time. Today we have nearly 1,700 agents with one of the highest per-agent productivity levels in the market because we always keep our eye on those challenges. Proving the powerful effectiveness of our team approach to agents, buyers and sellers. The added capabilities for agents and the individualized level of service for buyers and sellers helped create a lot of successes from our earliest days. We are a full-service brokerage with several affiliate companies that handle all support aspects for agents and their teams. Having such a large organization insures that agents have a complete support team for every transaction. The size of that team varies per the needs of each specific transaction. We are established partners in the Leading Real Estate Companies of the World and Luxury Portfolio and are very active with them. In addition, we maintain a wonderful partnership with Christie’s International. Our focus on building a team is what sets us apart. From personal peer mentoring to consistent training that reaches nearly every one of our nearly 1,700 agents, we work to create a team that can respond to market trends and buyer and seller needs across nearly every neighborhood in Orange County and through Southern California. We have over 25 offices for our agents. From our showcase luxury estate office on Pacific Coast Highway with a three-story skylighted atrium and two story waterfall, to our newly reimagined offices throughout the market, nearly every office is freestanding and designed to be welcoming to walk-in visitors, easy to see across, with an emphasis on technology. A mix of private work spaces, glassed in presentation areas for private conversations and open areas for larger gatherings is typically the mix of spaces we use in our offices. How many agents, offices do you have? We have nearly 1,700 agents working from approximately 25 offices across Southern California from San Diego County to Los Angeles County, with our largest group in Orange County where we are the largest broker in the market. We grow and recruit agents. We grow agents through our industry leading real estate university program. We have trained over 2,500 agents through that over the last decade alone. For established agents, our approach has a measurable return on investment well above anything else found in our market. In addition we are always focused on fully delivering on our support for agents and transactions so that even if they don’t come to affiliate with us, we usually have an agent representing a buyer or listing a home and they are on the other side so we always are focused on reputation. Given our size as the top broker in our primary market of Orange County, we are one of the region’s largest users of print media, email marketing, video and direct mail. We have a fully developed marketing and public relations program that has generated over 36 million unique impressions within the marketplace on over 300 outlets. Celebrations and recognizing achievement are extremely important to us. Our Hall of Fame Awards are produced annually at one of the many top luxury resorts in Newport Coast or South Orange County. While this is a black tie evening of celebration for agent achievement, we also have dozens of office celebrations annually, some of which have raised tons of food for local charities, helped fund programs for disadvantaged kids and expand local education programs. Digitally, our website continues to help lead the marketplace and was the recent recipient of four national awards. Our website is highly integrated with our extensive social media network and our proprietary Hot Buys system identifies values and opportunities within the marketplace quickly. Combined with our call center, our digital presence is key to creating a pipeline of buyer demand for our sellers. We control our identity within our marketplace and we use our additional resources, which may have otherwise been spent on franchise fees, to continually reinvest in innovating, providing our agents with more support, training and online resources. This freedom has allowed us to focus on Main Street and the buyer and seller needs independent of the quarterly demands on publicly traded national brands. Using technology to increase training, support and resources for our agents and outperform the expectations of our buyers and sellers. Our buyer pipeline is able to develop interest in properties before they go on market. Combine that with the consistent and regular training of our agents, you get a supportive environment for agents personally along with a marketing pipeline professionally that helps them meet their professional goals. Our technology upgrades, which have been consistent throughout every year have provided major productivity increases internally while helping create buyer demand and increase the ability of sellers to reach new levels of interest. In the next year, our exclusive affiliation with Christie’s International will continue to provide increased resources for buyers and sellers of luxury properties and we look forward to continuing to combine our decades of luxury experience with our incredible partner. Have you ever worked in another city/metro? If so, how did you end up where you are working now? We have actively sold real estate in the Orange County market since the early 1970’s. 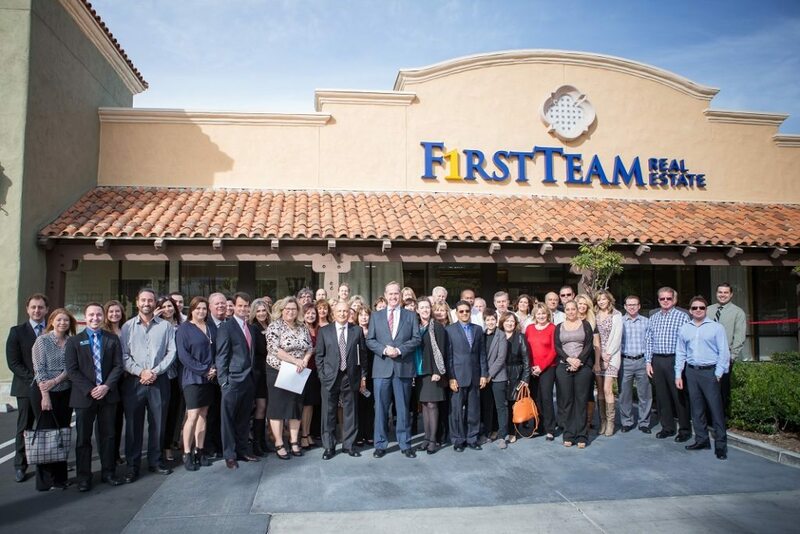 Since then, because our large scale relocation business, we have been active across the country while based and known best in Orange County and the larger Southern California marketplace as the largest independent broker in the market. Being able to give back to the community over the years and helping involve hundreds of agents in our efforts that have yielded millions raised for our regional hospitals, disadvantaged kids, educational programs, and much more. Is there an area of your community in which you specialize? Our role is to make sure that we make our agents area of expertise truly shine by providing them with the support, training, and pipeline they need to create transactions that are precisely what buyers and sellers needed. Our agents as we speak have listings from breathtaking $10 million or thereabouts estates in Newport Beach, to great homes in over 40 communities in Southern California. Are you a part of an indie brokerage in Los Angeles? Contact local@inman.com to be considered for our profile series.